Invoices are sent via email when making a purchase but they can also be downloaded directly from your Flipsnack account. 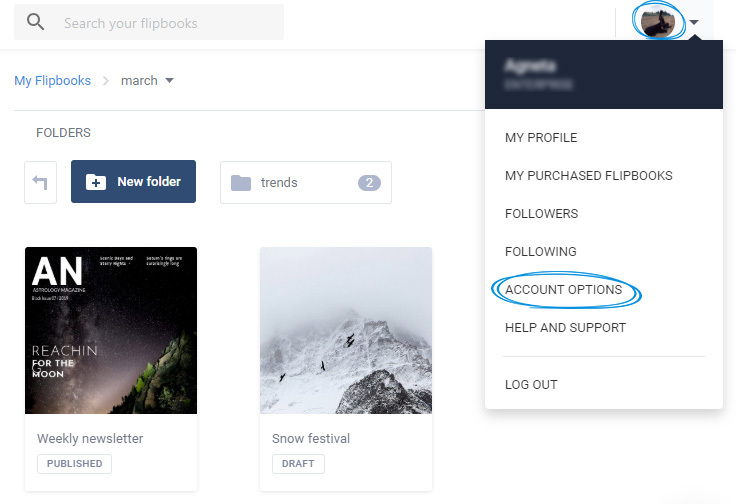 Log into your account and click on your profile image from the top right corner, then select Account options from the drop-down menu. 2. 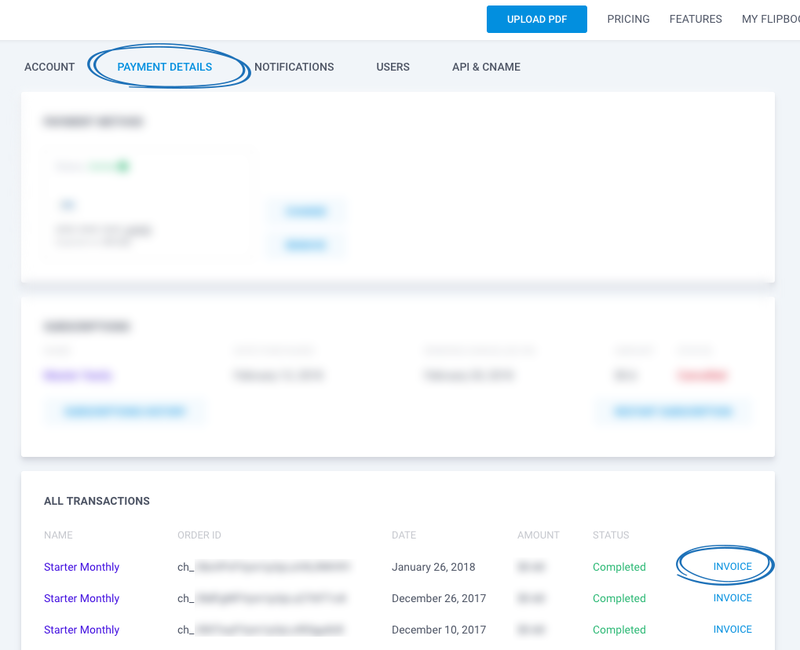 On the Account options page click on Payment details and from the All transactions area find the transaction you want and click on Invoice. 3. 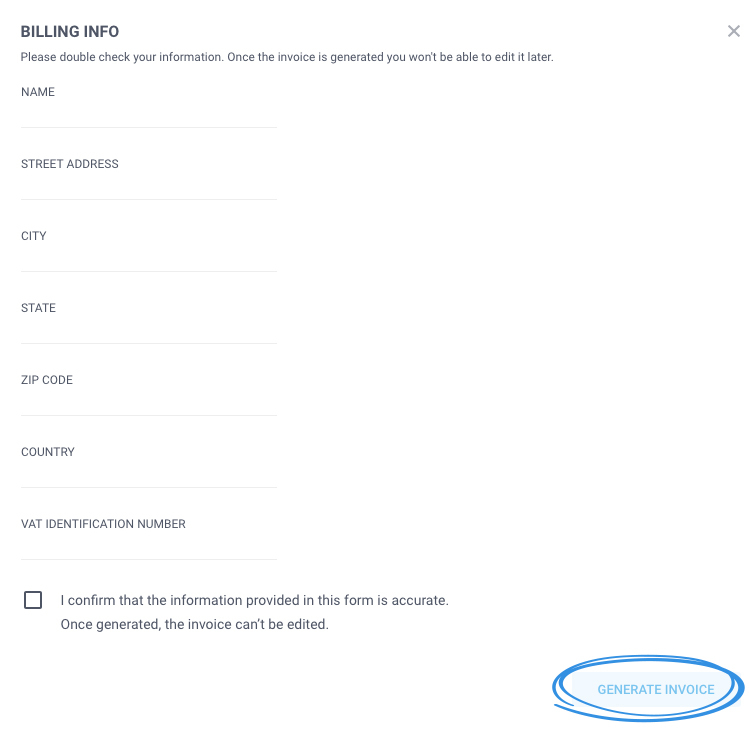 Fill in your details such as Name, Country, State, City, Street address, and Zip code and generate the invoice. Important: Once the invoice is generated you won't be able to edit it later.